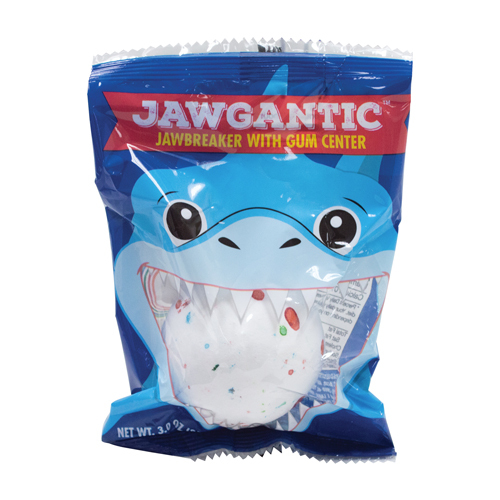 Can you handle the JAWgantic Jawbreaker? 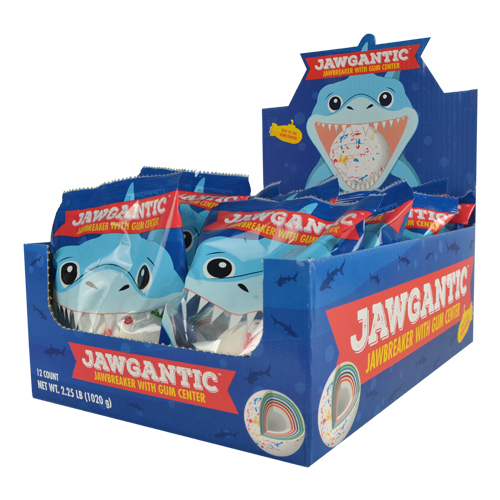 Dive to the center of this gigantic, great white candy with gum center. Each layer is an exciting new color and flavor that will leave you fishing for more. Each JAWgantic Jawbreakers display box contains 12 pieces.